Opera is not a stranger when it comes to web browsing - especially mobile web because they've been building web browsers for Smartphones, Tablets and PC for so many years. They've built popular Browsers like Opera Mini, Opera Mobile, Opera Browser etc. However, Opera is revealing a new Application web browser today called Coast. 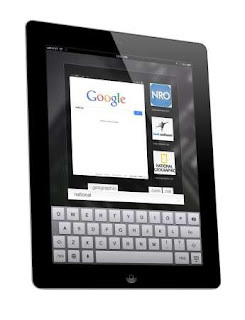 Coast has been constructed specifically for the iPad & iPad Mini and it seeks to make browsing the internet so simple and easy. The simplicity includes adding great user-interface features like -> series of swipe-enabled home screens and a tile-based UI that makes all your favorite websites look like icons. Also, Coast aims to be simple to use and to deliver web content in an unobtrusive, elegant way. Adding a new site is so easy that all you need to do is just drag and drop it onto one of the home screens. Upon returning to home from a site, the icon tile of the last-visited page shows up beneath your favorites, so that you can make it stick around permanently by sliding it up to join your other bookmarks. Taking security issues into consideration, Coast is backed up by a security engine that constantly consults an online database of unsafe sites -- stray into a nasty corner of the internet and it strings police tape across the page warning you of the danger you are facing visiting the site. You can also view the security and reputation of any given site by tapping the history button, then swiping down from the bottom of the webpage to reveal such info. Coast by Opera is available in the Apple App Store today, as a free download.